Bulgaria will begin talks on adopting the euro, its finance minister said on Thursday (15 January), adding that the Balkan country may join the preliminary exchange-rate mechanism for eurozone entry by the end of 2018, Nova television reported. Vladislav Goranov said Sofia would seek answers from the eurozone’s 19 member states on what it should do to be allowed in to the initial two-year ERM-2 exchange rate mechanism. “(We will be asking) when and against what, against what structural measures they will be ready to allow Bulgaria into the eurozone’s waiting room,” Goranov told reporters in Lithuania, where he attended the official ceremony for the Baltic country’s euro entry. 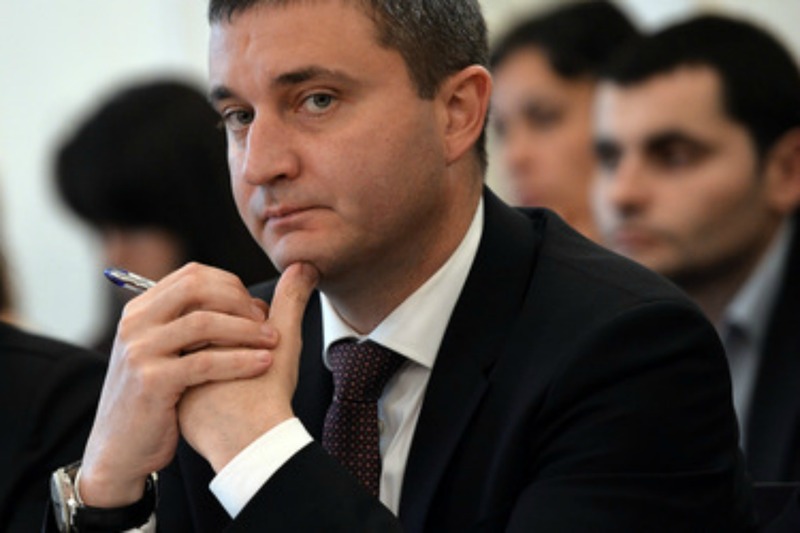 When asked whether Bulgaria could join ERM-2 within the four-year mandate of his centre right-government that took office in November, he said: “I think it is absolutely possible”. Goranov said there was a political consensus to adopt the single currency in the country, which has pegged its lev currency to the euro since 1997. Analysts and bankers have urged the centre-right government to undertake steps to join the eurozone to boost confidence in the banking sector’s supervision, shattered after the collapse of the country’s fourth-largest lender last year. Widespread corruption and rampant organised crime have prevented earlier attempts by the EU’s poorest member state to enter ERM-2, diplomats say. The financial situation of the country however is in dire straits following the bank run last June of Corporate Commercial Bank, also known as CCB or Corpbank. Corpbank, majority-owned by Bulgarian businessman Tzvetan Vassilev, triggered the Balkan country’s worst financial crisis since the 1990s. Although its dealings appeared suspicious, for many years, Corpbank enjoyed a de facto immunity from criticism. Corpbank held an overly large proportion of funds from state-owned companies. This allowed the bank to maintain an audacious crediting policy. An important beneficiary of such credits is the New Bulgarian Media Group Holding. In exchange, media from this group reportedly paid lip service to Vassilev and his political friends, through publications such as the dailies Politika, Telegraf and Monitor. Eleven chief editors in Bulgaria, representing the Union of Publishers, wrote a letter to the European Commission in 2012, exposing the relation between CCB and New Bulgarian Media Group Holding as illegal state aid. The Commission remained silent. In his attempts to silence critical journalists Vassilev has even sought the support of former European Commission President José Manuel Barroso. Vassilev has fled the country, and is at present under house arrest in Serbia. Many commentators say CCB is a symbol of the mafia-type system in the country, and that the truth about it should be made plain to see. It remains unclear why the Bulgarian Central Bank has sheltered Corpbank over the years, or at least why as supervisor it had not detected the wrondoings. Depositors at KTB had no access to their money for almost half a year as the bank was placed under conservatorship by Bulgaria’s central bank in June 2014 following a run on deposits. After the EU issued stern warnings following the decision of CCB to deny clients access to deposits of up to €100,000, which are guaranteed under EU law, last December, depositors of such sums received their money or moved it to other banks. This however costs the state budget billions. The Balkan country, reeling from its biggest banking crisis since the 1990s and facing sluggish economic growth this year, plans to raise 6.9 billion levs (€3.5 billion) from foreign lenders in 2015. Ratings agency Standard and Poor’s cut Bulgaria’s sovereign credit rating to junk, to BB+ from BBB-, in December, citing weaknesses in its domestic banking system. Dnevnik, the EURACTIV partner in Bulgaria: ???????? ??? ??????? ????????? ?? ??????? ? ????????? ?, ????? ???????? Much internal consolidating work must be done within the Eurozone and the EU before new members should be accepted.